Here in Financial Regulation Matters we have looked at the credit rating agencies on a number of occasions, with the underlying sentiment being that the industry represents an overarching problem when it comes to the failure of financial regulation. In this post today the theme will be revisited in light of recent action by European regulators. It is beyond question that the leading credit rating agencies – Standard & Poor’s, Moody’s, and to a lesser extent Fitch Ratings – played a central role in the Financial Crisis. Having been the focus of an extensive United States Senate investigation, subsequent pieces of similarly extensive legislation in the U.S. and the E.U. confirmed that the conduct of the rating agencies was not acceptable and that, by use of regulation, their behaviour would be corrected. However, on the 1st of June 2017, the European Securities and Markets Authority (ESMA) issued a relatively small fine of €1.24 million to Moody’s, for breaching European credit rating regulations. Whilst the fine may look modest, it actually represents just the latest in a long line of financial penalties that have been given to the agencies not including fines for their transgressions during the Financial Crisis era. With that in mind, it is contested here that the continued transgressing of the agencies represents who they are and, ultimately, that regulation in its current form cannot correct that behaviour. This author has spoken of the near-$2 billion financial penalty that was given to ‘The Big Two’ (S&P and Moody’s) before, so with that and the extended coverage given to the fine, it will be better to focus on the actions of the agencies after this period. If we look at the multiple press releases from the regulatory agencies concerned, we can see that the rating agencies did not stop transgressing whatsoever after the crisis, it was just that the environment meant that their transgressive nature had less of an impact. In 2011, S&P had rated a number of Commercial Mortgage-Backed Securities (CMBS) – as opposed to the Residential Mortgage-backed Securities that stood at the heart of the Financial Crisis – but, crucially, had publicly disclosed that it was using a certain methodology when, in fact, it was using something completely different (the issuers of the securities were aware, of course). For this illegal breach, the agency was fined $77 million and banned from rating similar securities for 12 months. If we look at the recent breach of regulations by Moody’s, we can see they have been punished for exactly the same thing. 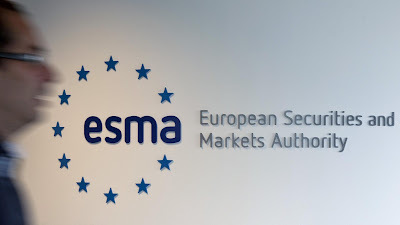 ESMA confirmed that the penalty was ‘regarding their public announcement of certain ratings and their public disclosure of methodologies used to determine those ratings’, which related to 19 ratings issued by the rating agency between June 2011 and December 2013. It is important to note that the recent $2 billion in penalties given to S&P and Moody’s was not because of all of their transgressions during the crisis, but mostly because of their involvement in scams using ‘Special Investment Vehicles’ with which they colluded with issuers to defraud investors – the rating agencies clearly have ‘form’ for defrauding investors, despite their many claims to be doing the exact opposite. Whilst a number of other agencies have been fined for transgressing since the Financial Crisis, it is usually for other reasons than outright fraud. Though ESMA’s fine of €1.38 million to Fitch Ratings for transmitting information prior to publication is not really a good demonstration of this point, the $6 million fine given to the much smaller DBRS agency demonstrates the technical aspects of being a smaller agency that may force an agency to fall foul of the regulations. However, S&P and Moody’s have no such defence. Yes, the headline-grabbing fines given by the SEC recently will live long in the memory, but the actual situation is that the rating agencies have simply maintained their approach. The issue with that should be clear; whilst the current financial environment dictates that the effects of that approach will be relatively minor, what happens when that environment changes? This author recently discussed how the ever-expanding auto-finance bubble may alter the environment for credit rating agencies, but in actual fact it could be anything – and that is the worry. For that worry to subside, it is crucial that the regulators and legislators create rules that focus on the actual behaviour of the agencies, and not how some stereotypical agency may act. Rather than trust in the agencies to follow regulations, they must instead be forcibly enforced, because the top agencies are consistently proving that they cannot be trusted to operate within the confines of the law. Yet, the current political landscape – particularly in the U.S. – suggests that this level of state intervention is steadily becoming ever more of a dream. The consequences of that could be severe.